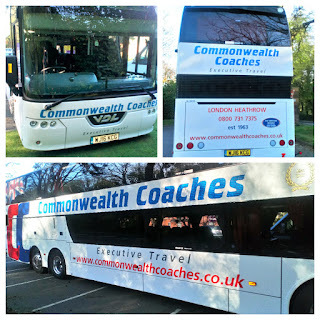 Robert Kelly contacted me early this morning to tell me of a double deck coach unusually parked at the Foxburrow Hotel on Foxburrow Hill on the A47 in Lowestoft. It was a VDL 93 seater from Commonwealth Coaches of Iver in Buckinghamshire. WJ16KCG was new to the company in June 2016 built to a CH69/24Dt configuration. It was thought to have been in the area due to the Great Yarmouth Area Rugby Tournament being held over this bank holiday weekend.